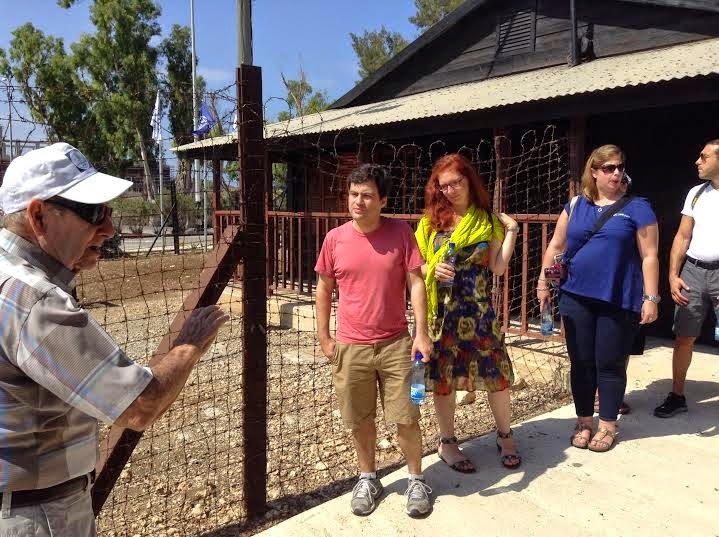 The highlight of today’s trip in my mind was hearing from Murray during our visit to Atlit. 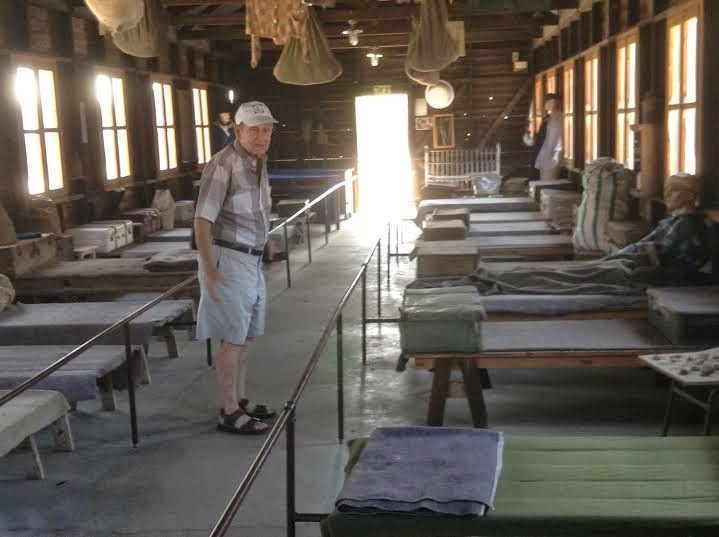 Atlit was the detention camp the British set up to hold the many Jews (mostly Holocaust survivors) who tried smuggling themselves into Palestine from 1945 until the establishment of the Jewish State in 1948. The Haganah recruited US Merchant Marines to help obtain vessels and ultimately bring European Jewish survivors to Israel under the British blockade. Enter Murray Greenfield. Hailing from the very exotic Far Rockaway, Queens, Murray had just finished a stint as a Merchant Marine and was about to enter Hunter College when he was recruited to perform this incredible and dangerous task. Murray explained to our group how he helped secure a vessel in which he and others ultimately brought 1500 Jews from Europe to Israel. He and the others were caught by the British and interred at Atlit for three months. Murray took us around showing us the camp and sharing stories of what it was like to be a prisoner in this British camp. Ultimately after his release and the establishment of the State of Israel, Murray remained in Israel, got married and started a family. I have heard his story many times but today was different because as he shared with our group today, Murray’s wife of 58 years recently passed and so he was sharing stories about late wife. I didn’t get her name but she was a survivor from Czechoslovakia whose family had lived in the same city for 350 years. She once told Murray that after the war when she had an opportunity to see some of her non-Jewish neighbors she asked them why they never stood up for her and the other Jewish families. She told Murray, “we, the Jewish people, are all alone,” and so, as Murray related, we have to take care of ourselves as we’re doing now in Gaza. 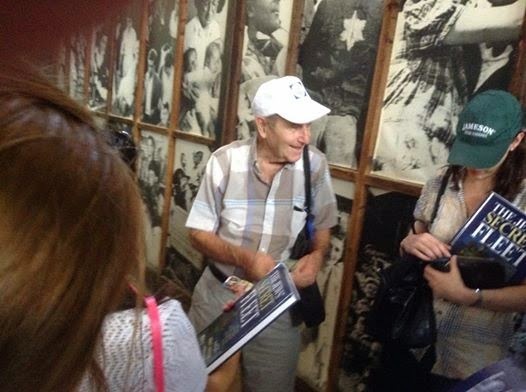 Murray selling his book which tells of how he rescued 1500 survivors after the war and brought them to Israel. 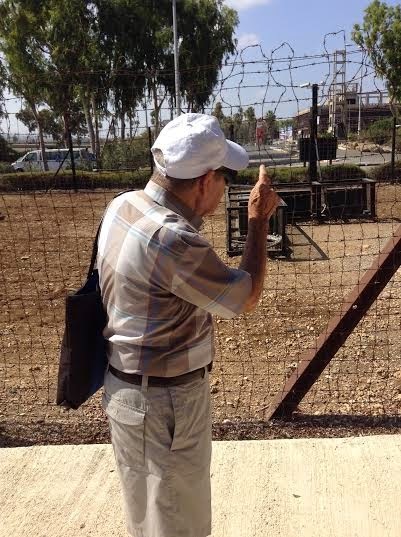 Although it sad to be alone, nothing fills me with greater pride than knowing that I belong to the same people as Murray Greenfield and all the other brave men and women who built this amazing place called Israel.